The concept of what a smarthome is has come far since the 1999 Disney classic, Smart House, where Katey Sagal transforms into the AI-infused mother of nightmares. However, it seems we’re closer to the Tony Stark concept of a smarthome than to Disney’s version of it. Robots and connected gadgets aim to open your blinds, tell you when you’re out of milk, and schedule your meetings. Less overbearing mother and more personal assistant. Nonetheless, smarthome technology has become more and more important over the last few years. It can even have an impact on whether or not you decide to buy a new home. In fact, sources like CNET and Coldwell Banker have gone as far as to say that asking about a home’s smart technology will eventually be just as normal as asking how many bedrooms a home has or what type of stove comes with it. At this point, one in four consumers already own at least one smarthome product, and over 85% of consumers value the technology. So if you should expect anything from smarthome technology, it would be that these numbers will only grow. This means that if you want to improve the value of your home, then you’ll need a few smart gadgets to help you do it. Here are a few you should definitely keep an eye out for. Nearly all smart alarm systems can be installed on your own and come free of contracts. A system will run you about $250 initially and then you’ll pay a monthly fee for monitoring services. For example, SimpliSafe’s basic security system starts at $229, takes about 15 minutes to set up, and costs $25 a month for 24/7 monitoring and alerting. 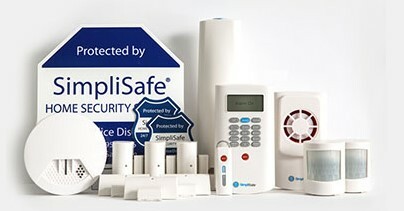 It connects to your Wi-Fi, and you can control passwords, view alerts, and update safe words directly from the SimpliSafe app. If you ever decide to move, you can quickly uninstall it and take it with you or you can choose to leave it for the next residents. Smart thermostats automatically adjust the temperature of your home and do what they can to save you money. They can learn your habits and pick up on your preferences. 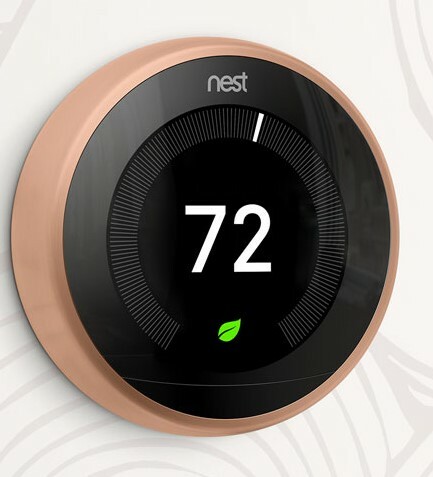 There are several smart thermostats on the market, but the one that probably comes to mind for you is Nest. The Nest Learning Thermostat costs $249 and comes with features such as Auto-Schedule (programs to your preferences), Auto-Away (turns off when no one is home), Nest Leaf (shows you how to save money), and Farsight (lights up when you walk by). 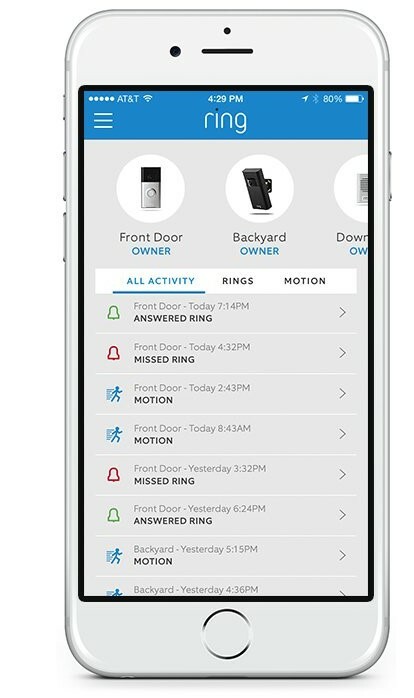 Smart Doorbells are the latest trend. And for good reason, too. A video doorbell, like Ring, will let you see who’s coming and who’s going. Whether someone rings your doorbell or simply passes by your door, your phone will receive a notification. You can answer the notification and speak directly to the person at your door. You can tell the delivery man that you’ll be right there, or you can avoid a pesky neighbor. The choice is yours. The Ring Doorbell starts at $199 and comes with a simple smartphone application. Kitchen appliances will always be a major deal in a home. And nowadays, appliances are only getting smarter. 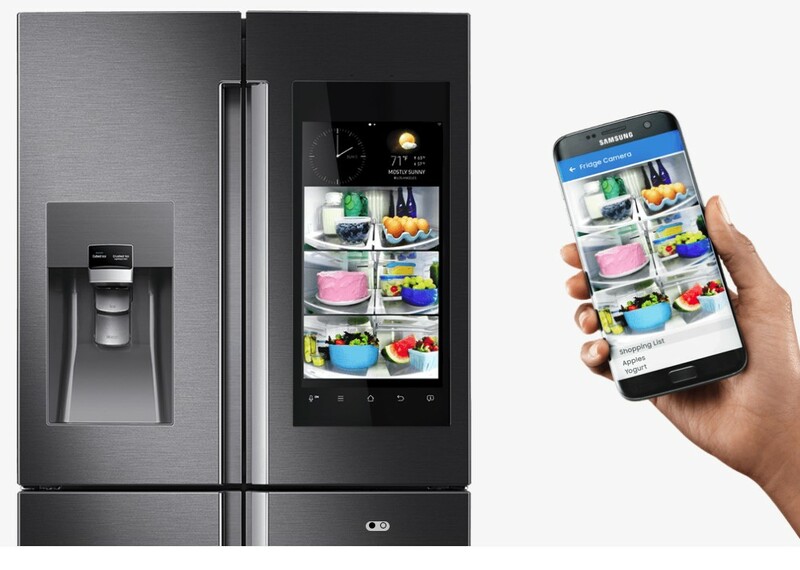 The newest and most advanced smarthome appliance would have to be the Samsung Family Hub Refrigerator. This bad boy will set you back $4,000 (depending on where you’re buying it from) and comes with a touchscreen display, a smartphone application, and a camera to help you figure out what you’re running low on.